Regular readers will know that there is a travelling bust of St Philip, made in Seville for his five-hundredth anniversary year, which has been travelling around the Oratories of the world. 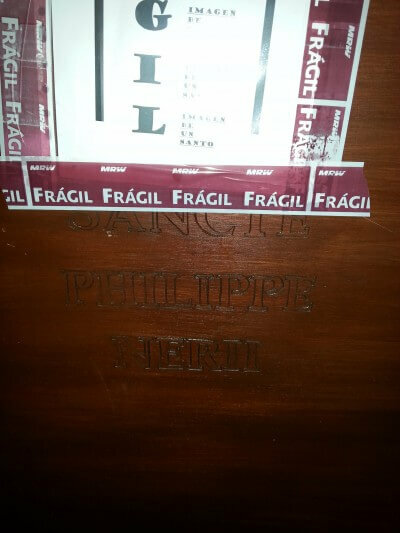 We had been expecting it some time ago, but heard that it was delayed, somewhere between Maastricht and Alcala de Henares. 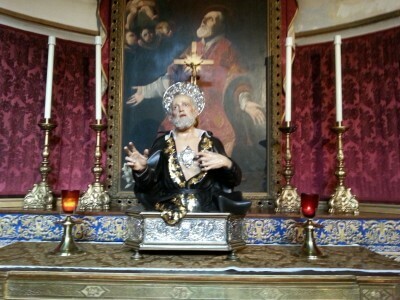 The box took quite a lot of effort and ingenuity to open, but when we succeeded, inside was the bust of our Holy Father. 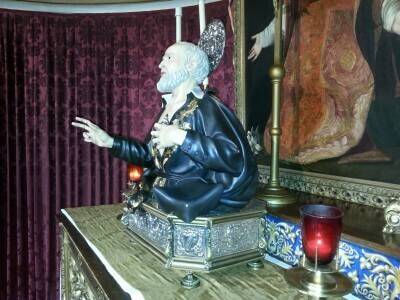 The bust shows St Philip, filled with the Holy Spirit, pointing to his heart, which was enlarged by the Spirit's action. 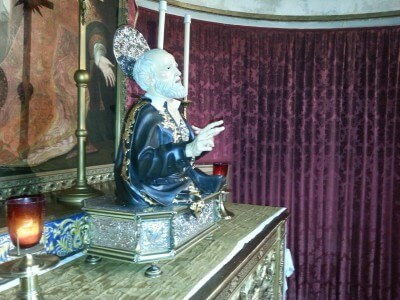 The bust contains a relic of St Philip's body. 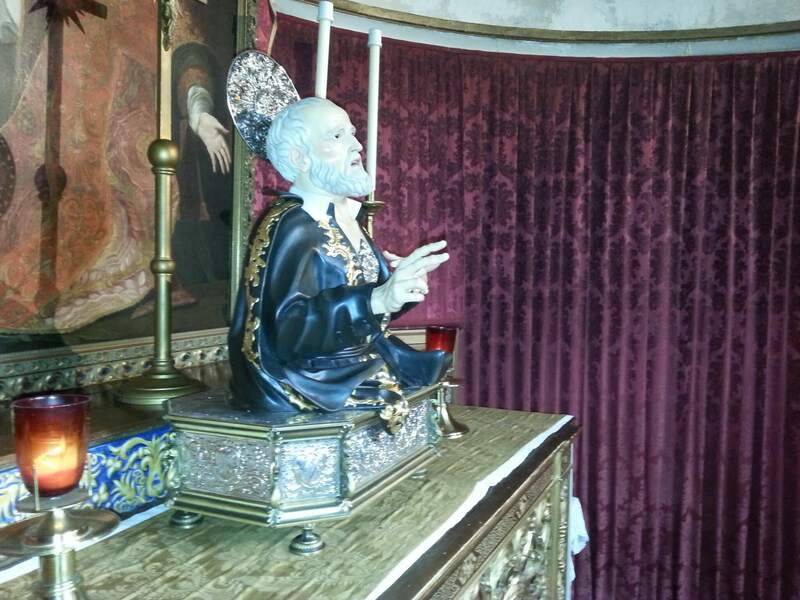 We have put the bust on St Philip's altar to give people the opportunity to pray before it. 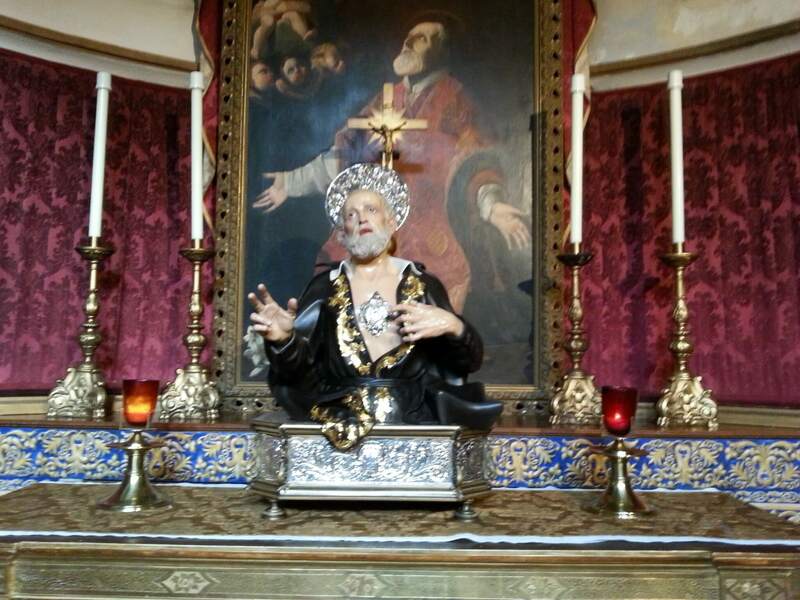 As to when and where the image will go next: St Philip has a habit of surprising!